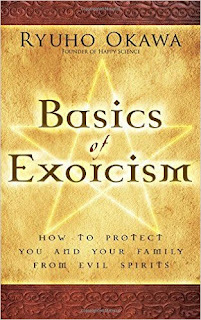 Kiyoshi Shimada talks to Alexander “The Engineer” Lim, host of AuthorStory by alvinwriter.com about Master Ryuho Okawa’s book, Basics of Exorcism: How to Protect You and Your Family from Evil Spirits. 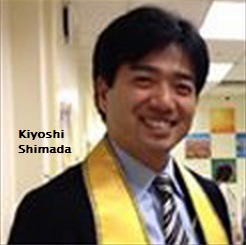 Kiyoshi Shimada has been a staff member for Happy Science for twelve years and had been involved with Happy Science for ten years prior to that, and over the course of time, he has been called in to help people who have been afflicted by evil spirits. According to him, Happy Science is a religious organization that believes in the Origin of Life, which is also known as God the Father or the Eternal Buddha, and that all religions can be united to avoid all the conflict and dissent among these. Likewise, according to him, Master Okawa has spiritual abilities and spiritual wisdom, the lessons of which he is passing on to people. Evil spirits, according to Kiyoshi, are beings that once lived on Earth, has had more negative impact on the world than positive impact, and have passed away, which means that it’s not just criminals who become evil spirits. Evil spirits draw their energy from negative energy, which can come from such emotions as fear, hate and sadness, and as this comes from people they would work to influence the living away from positive energies. He noted that evil spirits could also be passed on through those who are already affected by these, and that one’s ancestors who were subject to their influences in the past could seek help from living kin to get to the higher spiritual realms. He also noted that evil spirits located in particular places, such as cemeteries or where someone committed suicide, might also possess a person. He also remarks that, according to Buddhist belief, people are reincarnated time and time again until they learn the lessons they need to learn before moving on, and that self-reflection is important to learning these lessons. Kiyoshi notes that Happy Science offers prayers or sutras for people to recite to expel evil spirits. He believes that teaching others to be positive and knowing the Truth will make people happier, and doing so is his favorite thing to do, and he dislikes making people unhappy. He is also looking forward to achieving enlightenment in the future.